As most members of the Cornell and Ithaca communities are aware, the prime suspect in the August 28th stabbings of two Ithaca College students on Cornell’s campus is now in custody. Nagee Green, 23, of Freeville, was taken into custody November 7th at 1:34 PM while attempting to board a TCAT bus to Ithaca from Freeville. He is being charged with one count of second degree homicide for the murder of 19-year-old Ithaca College business administration major Anthony Nazaire, and one count of second degree assault for seriously wounding another IC student in the same fight, which occurred on Cornell’s campus after a university-sanctioned Omega Psi Phi event. Anticipating the impending deactivation of his Facebook account, Review staff took a closer look at Green’s feed. Among numerous reposted rap lyrics and marijuana-related statuses were some interesting statements. 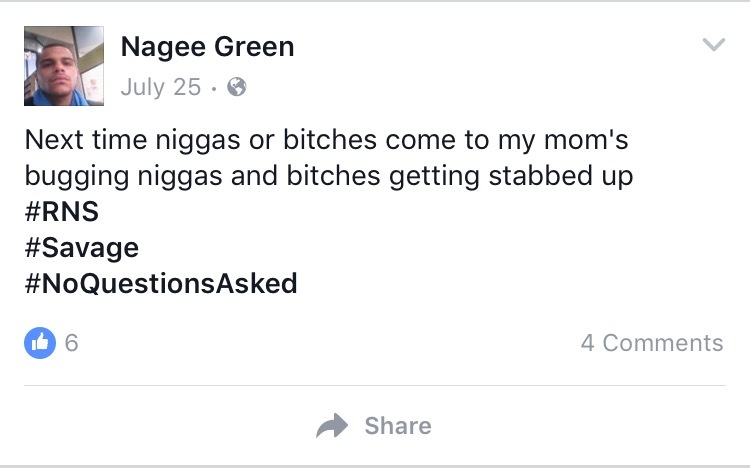 His first status after the murder (which was posted on the same day), reads “#ShitBrazyyyy,” which is a Blood term for the word crazy (it is a Blood tradition to replace any uses of the letter “c,” as it is associated with their rival gang, the Crips). Despite being suspected of brutally murdering one African American student and attempting to kill another, Green still laments “bodies in the street” and “people getting away with murder” (which he evidently failed to do). 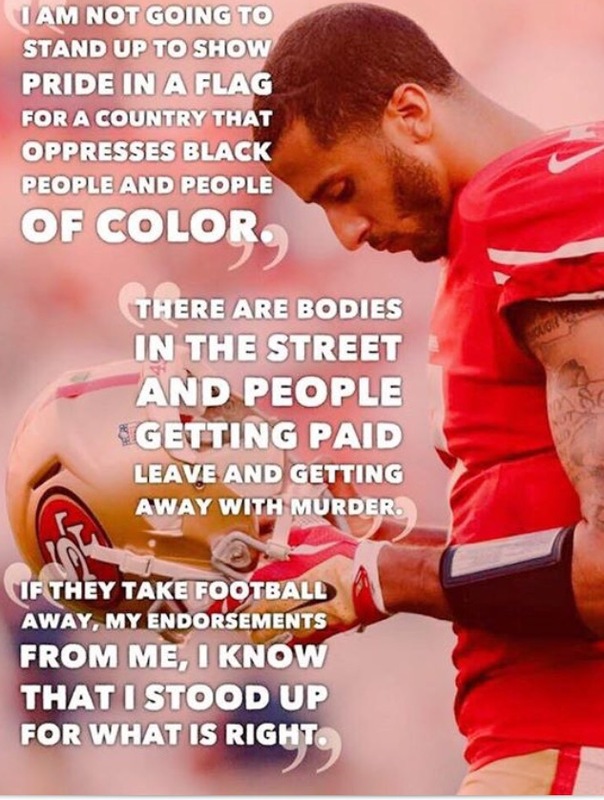 He also seems to be a supporter of Black Lives Matter, only further demonstrating the irony of his posts. 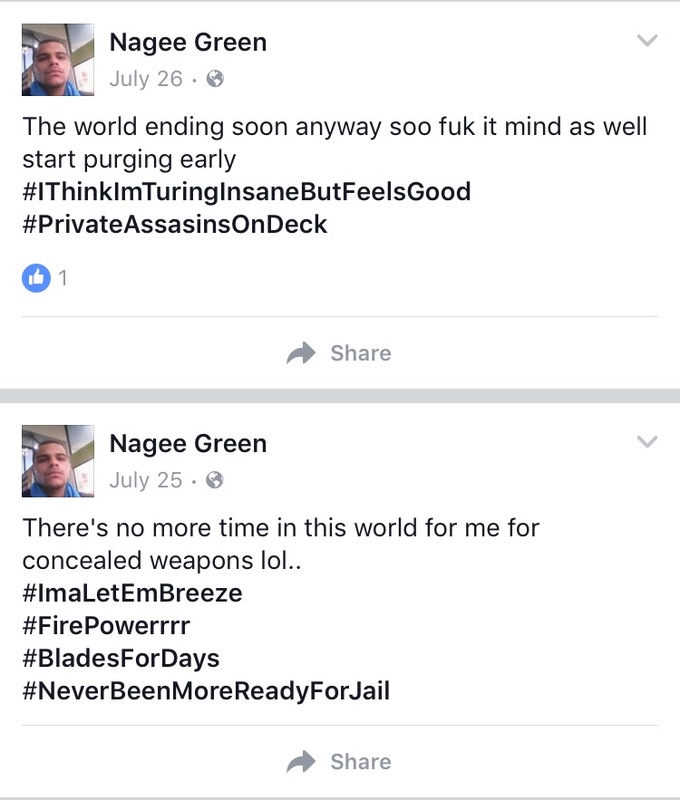 Only time will tell whether Nagee Green will be found guilty, but based solely on analysis of his personal Facebook statuses, there is no question as to why Green is the prime suspect in this tragic homicide. This is a garbage article. 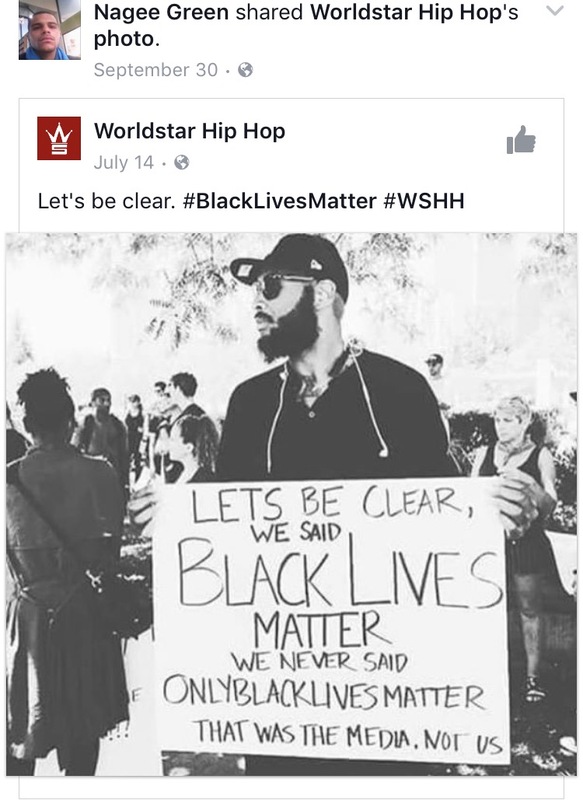 Either actually make a statement about why it is ironic that he support black lives matter or just come out saying that you think that any person that is black embodies the whole sentiment on the black lives matter movement. Don’t just state what happened and leave us with a hint that it is ironic that black on black crime occurred from a black lives matter supporter and that are trying to characterize him as what the movement is which is incredibly false. No explanation needed. Most readers understand it’s ironic that a supporter of the Black Lives Matter movement has taken a black life. There is no commentary in the article about the Black Lives Matter movement, although you seem to imagine the author has some unexpressed feelings about the movement. How do we know that Anthony Nazaire was not assassinsted? 2) The narrative of how he came to be killed for a reason that does not even explain an attack of any sort, by a person who apparently had no reason to be there, is very hard to believe. 3) There appears to have been an attempt to ensure (by confiscation) that there would be no video evidence that Mr. Green was not the attacker. Is some professional assassin being protected?